Crewe United are synonymous within football in Northern Ireland. Having started from a humble but proud beginning the name of Crewe United is now widely recognised at home and abroad. Crewe Park itself has been the source of football since the 1920's and play only stopped due to the war. Local organised football matches started off as an idea sometime in the fifties and by word of mouth people came from far and near, on a nightly basis, to kick ball. Web Link: Crumlin United F.C. Crumlin United F.C. have two Senior Men's, a Senior Ladies and a host of Junior football teams playing in various league competitions. Our Mill Road Clubhouse hosts various other non-sporting community activities such as Senior Citizens Club, Arts & Crafts, Crumlin Together, Youth Club, Irish Dancing, Hip-Hop classes and a state-of-the art computer lab. The Clubhouse also features regular evening entertainment and is a great place watch televised sporting action. We look forward to welcoming you as a participant, spectator, or thirsty patron! For almost a century, the village of Hillsborough has had a Downshire soccer team and even in those early years Downshire fielded three 'red and white' sides in the Lisburn and Amateur Leagues. One of the earliest recorded Downshire outfits was the team of 1912 travelling to away games in a pony and trap. 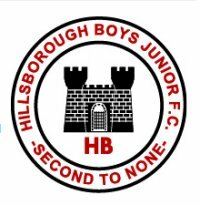 Web Link: Hillsborough Boys J.F.C. Hillsborough Boys J.F.C. is a junior football team which is represented by teams from U-10 to U-16. We are based in Lisburn, Northern Ireland and compete in the Lisburn and District Youth Football League. Lisburn Rangers are a Northern Irish football club playing in Division 1B of the Northern Amateur Football League. The Lisburn club has been a member of the Amateur League since 1963. Our honours include 3 Amateur League 1B titles, twice Clarence Cup winners, 1 Border Cup, Intermediate Cup Runners up, twice Steel and Sons Cup Semi finalists, Junior Cup runners up and twice winners of the Junior Shield. 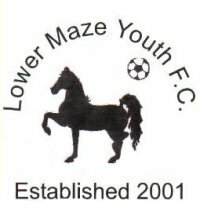 LMY are a junior soccer team who encourage children from age7 upwards to play soccer.We take part in the Lisburn Junior Invitational League.. THE best youth league in Northern Ireland, with each season running from September until May. Our home pitch is located at 33 Bog Road, Maze, Lisburn. A couple of well known land marks in the area are The Down Royal Racecourse and the world renowned Maze Prison. Our first season in competitive football started in August 2001, prior to this the club had originally played its football in Magheragall Parish Church Hall.